I was recently thinking about villains. I love a good villain. When I say a good villain, I mean a character so depraved and complex that I crave to see and hear more of them. Let’s face it – a good hero isn’t a hero without a decent villain. Thinking back on what I’ve watched recently, I realized I’ve seen quite a few stellar villains as of late. I’ve been watching a lot of British television the past year. My husband queued Torchwood last spring, which began our mad descent into the world of Doctor Who. From there we branched out to other British shows (Wire in the Blood, Luther, Downton Abbey, Being Human, etc.). Which eventually led us to Sherlock. 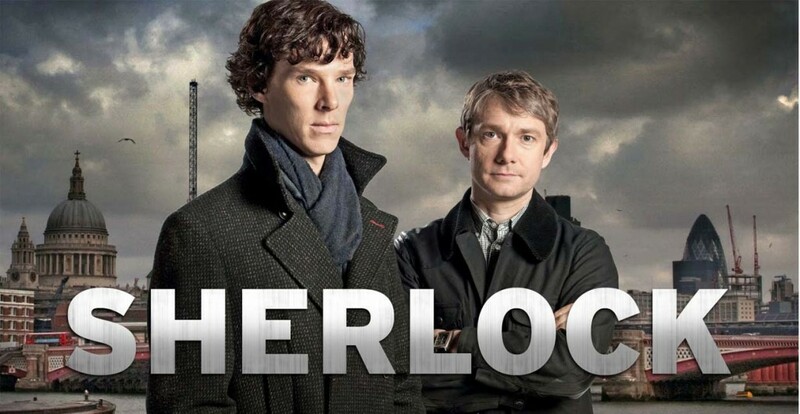 Sherlock, the recent British reboot of Sir Arthur Conan Doyle, is, perhaps, one of the most fabulous crime shows I’ve seen in a while. The first season has three episodes, each roughly about an hour and a half long. It’s a mini-series, really. I’d describe Sherlock as being a cross between House M.D. and Wire in the Blood – depraved crime drama with socially stunted genius. Benedict Cumberbatch makes for a fascinating Sherlock, his haunting stillness and idiosyncratic bizarreness the perfect portrayal of a modern-day Sherlock Holmes. His counter part, John Watson, is played by Martin Freeman, the every-man who’s just returned from war and is attempting to find his way back into everyday society. The problem, though, is he craves the excitement and rush of a battle, which is why he’s drawn to Sherlock’s continual antics and situations. They make a startling team. What really hooked me with this series, however, is Moriarty. We don’t actually see the man until the very end of the final episode, but the man has his hooks in every net of Sherlock’s life, and Sherlock only has a vague perception of it. Or at least we think he does. When we finally do meet the mysterious Moriarty, he is stunning. Bloody brilliant and devious. And there’s no telling what the man is going to do or say. And Sherlock is just as unpredictable, if not more so, than his villainous counterpart. It’s epic. And it’s wonderful.